Groups of up to 1,400 basking sharks seen off off N.S., northeastern U.S.
Basking sharks are a common sight in these waters, but such large groups are not. 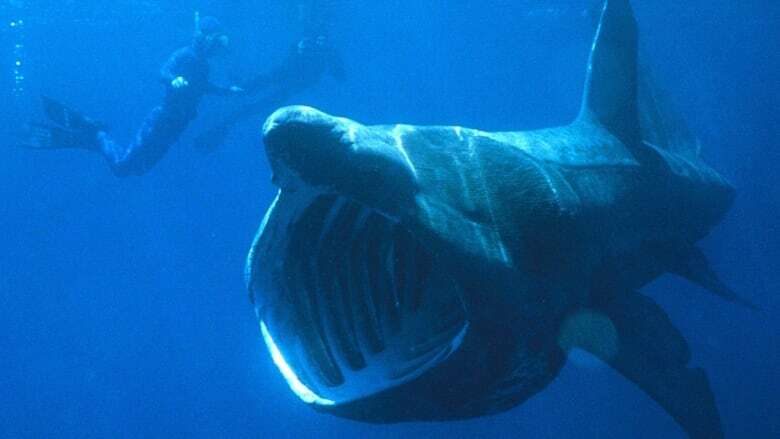 The National Oceanic and Atmospheric Administration says groups of 30 to 1,400 basking sharks have been seen in waters from Nova Scotia to Long Island, N.Y. between 1980 and 2013. The agency says sightings of basking sharks are common, but seeing them in such large groups is not. NOAA says the reason the animals have been congregating in large groups "has not been clearly determined," but it's likely related to feeding, socializing or courtship.